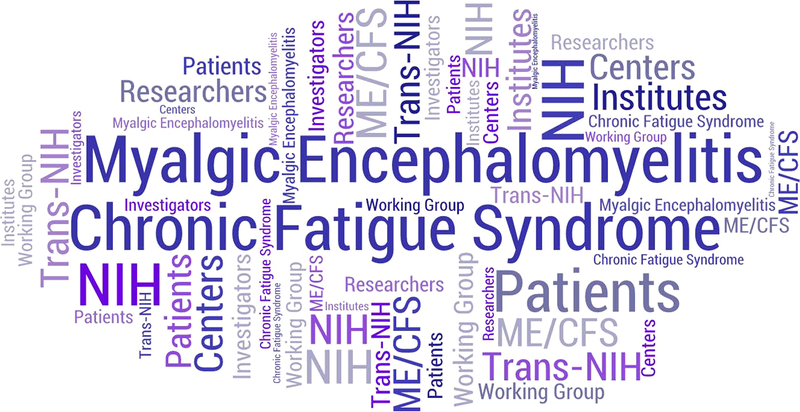 Established in 1999, the Trans-NIH Myalgic Encephalomyelitis/Chronic Fatigue Syndrome (ME/CFS) Working Group includes representatives from NIH Institutes, Centers, and Offices within the NIH Office of the Director. Working as a team with leadership from the National Institute of Neurological Disorders and Stroke (NINDS), the Trans-NIH ME/CFS Working Group identifies shared areas of interest and challenges to advance ME/CFS research. The Working Group provides evidence-based rationales for supporting ME/CFS research and attracting investigators to study this complex illness to NIH Institutes, Centers, and Offices. In addition, the Working Group works to leverage resources across NIH, such as personnel, equipment, methodology, supplies, and collaborative expert networks.